From the post-punk Melbourne landscape that had produced the likes of the Boys Next Door came Hunters and Collectors in 1980. At the dawn of a new decade, guitarist Mark Seymour directed a collective that would be carved into Australian music history. Can's Conny Plank would produce their second album before they reached wider acclaim with Human Frailty in 1986. The following year saw the band in pursuit of an American audience with their seventh album What's A Few Men. Their appearance at Boston's Channel Club in May 1987 offered overseas fans an opportunity to delight in their reputation as a revered live act. 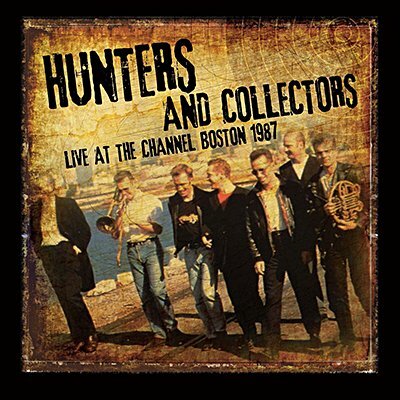 Echoes proudly presents the entire original syndicated radio broadcast of Hunters and Collectors live from The Channel Club, Boston, MA on 16th May 1987 promoting their new album What's A Few Men and delivering highlights from the last seven years. 3. Is There Anybody In There?